I just hope I feel like I feel today, at 40! Aging is subtle…small incremental daily change that if left unchecked, quickly leads to entropy. Anyway…all this aging talk got me to thinking about change, subtle change. During the last 35 years there has been a tremendous amount of change. So, I took some time to note seven changes I’ve seen in my lifetime that in my opinion are quite remarkable. Over the weekend I spent $153.33 at Borders Books’ ‘Going out of Business Sale Event’. I noticed a sign while shopping that read, “Thank you for giving us 20 great years to serve you!” I will probably never spend that amount of money in a brick and mortar book store again. The virtual book stores rise…as mega-bookstores meet their demise. My doctor’s office has poor cell phone reception. I suppose the magazines in the waiting room are supposed to make up for the fact they don’t have WiFi. Really? All the info in the magazine is old. I read this stuff on Twitter weeks ago. Get WiFi!! Nobody reads magazines anymore. We put them in waiting rooms, bathrooms and coffee tables for decoration. You guys know I’m right! Every last one of you uses your smartphone or checks Facebook on the toilet! 17 years ago, leaving home to move to college was a pretty spectacular experience. I truly became my own man. Unless my parents called they had no idea what on earth I was doing. I was completely separated and displaced from home. I’m sure there was an assumption that I was going to class everyday and studying all night. Ha! Today I’m not so sure the college experience is the same. Our society is exponentially more connected than it’s ever been. Facebook, Twitter and LinkedIn status updates will tell the tale…and when all else fails you have cell phones and Skype. There is no hiding! Your parents, your high school/college friends and stalker ex-girl/boyfriend can and will find you! When I turned 16 years old, I got my first checking account. I was sooo…excited! Not because I had a lot of money in the bank, but because I could write a check like a grown up. Today I despise writing checks. All I can think about is how terribly inconvenient it is to actually fill that entire check out. I mean who doesn’t have an electronic banking system in 2011? Oh…that’s right…most government agencies don’t! At least not right now. A few weeks ago, as I left the Cook County Court House (I was found “not guilty”…so no questions) I noticed a sign in bold letters, “Electronic Transactions and eFiling coming soon!” Aha! R.I.P. checks! Hello real-time cell phone banking transactions! 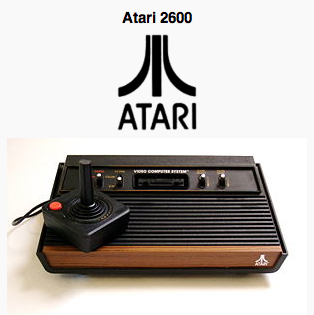 When I was 9 years old I had my first Atari video game experience! Oh, how that small cubed pixellated man on the pixellated screen brought my friends and I so much joy! At this age I remember my mom forbidding my brother and I to play Dungeons & Dragons for fear we would let the fantasy world of our imaginations merge with our adolescent reality. In the 80’s these are the things parents worried about. What will we worry about in the 20’s? The Wii has provided a much more stimulating video game experience in recent years. In 2020 could gaming be too real for children to disassociate their gaming experience from reality? That’s 8.5 years from now! Fifteen years ago if I used these words in a college essay the professor would have asked me to stay after class to better understand my obvious spelling and writing deficiency. Our society tends to celebrate the birth of new concepts, products, and people without much recognition for the person/people whose hard work made the celebration possible. So this thought is dedicated to the most beautiful woman I know…my mom…whose hard work 35 years ago has made everything that I am and do possible! I love you Mom! I love you too. Your thoughts reminded me of the Apple IIc computer we started with back in the ’80s then the PC with the DOS operating system, and how I didn’t understand why floppy disks were not floppy and software was hard. I finally realized that just keeping up was gonna take all my energy…no time to figure out the why. Hope your Birthday was great!